Pennsylvania has one of the most thriving culinary scenes in the country. With over 25,000 restaurants and drinking establishments, more than 560,000 people have found employment in the industry. According to the National Restaurant Association, that number is expected to grow by over 44,000 by 2026, creating a demand for culinary professionals. Earning a degree or certificate from a top culinary school can help you secure a position in the field and advance up the career ladder. We put together this list of the best culinary schools in Pennsylvania. 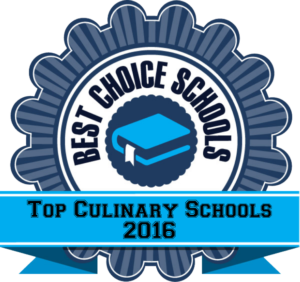 Schools on our list are accredited and offer quality culinary programs that are well respected by the industry. Hands-on activities, externships, and on campus kitchen facilities are all offered by schools in our list. 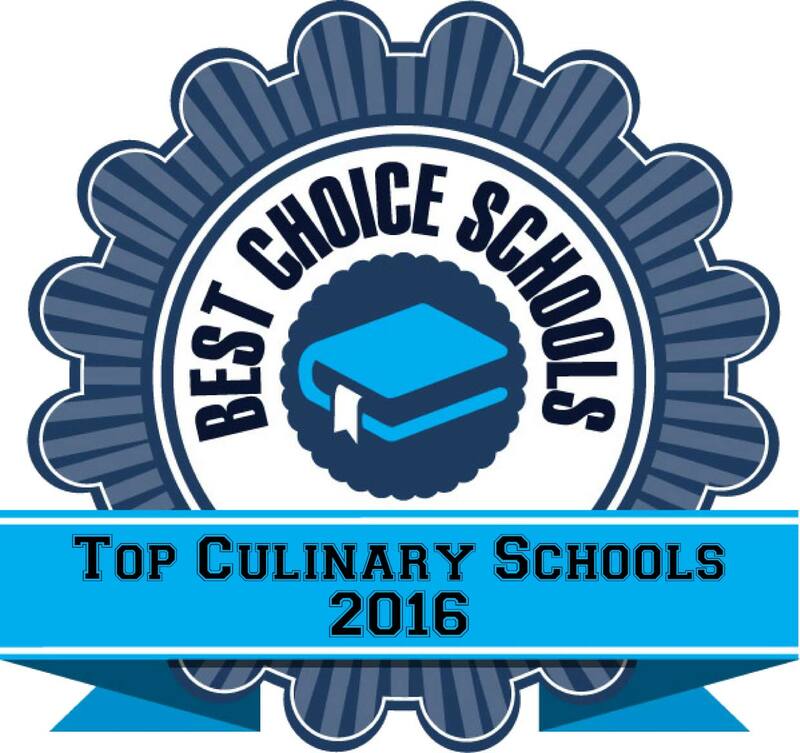 Below is our list of the 10 best culinary schools in the state. JNA Institute of Culinary Arts features an AST degree in Culinary Arts/Restaurant Management with a focus in either Culinary Arts or Pastry Arts. Students learn through hands-on labs and lectures in state-of-the-art kitchen facilities. Students become comfortable with the skills needed to be successful in both the front and the back of the house in restaurant establishments. Students have the opportunity to network with local industry professionals during class field trips. JNA focuses on giving students the skills and confidence needed to understand the how and why of a recipe rather than just being able to follow instructions. For students to be successful in the Culinary Arts program at the Community College of Philadelphia, they need to be passionate about cooking and serving others. CCP offers an AAS degree in Culinary Arts that features the opportunity to pursue Apprenticeship status through the American Culinary Federation. Students can complete the program in just two years, including a 400-hour work experience. CCP has state-of-the-art kitchen labs with hands-on courses taught by experienced faculty. Students receive assistance with job search and placement after graduation. Harrisburg Area Community College has an AA degree in Culinary Arts designed for students who want to jump right into their careers after graduation. The Culinary Arts program is accredited by the American Culinary Federation Education Foundation. Students gain real-world experience in on-campus labs and have the opportunity to be awarded status of Certified Culinarian after graduation. Courses cover areas including Nutrition, Menu Design, Purchasing, and Hospitality Supervision. Class are typically offered during the day time and students may attend on a part-time or full-time basis. Indiana University of Pennsylvania is well known in the industry and offers certificate programs accredited by the American Culinary Federation. Indiana University of Pennsylvania features a 13,000 square foot academy building and a state of the art kitchen lab. Externships are completed at the end of the program and students play a major role in selecting these opportunities. Many students go on to accept permanent positions at their externship site after graduation. Many graduates have gone on to work at four or five star resorts and establishments and alumni include Food Network winner Lindsay McClain and Zagat’s 30 Under 30 Boston, Cory Seeker. Keystone Technical Institute offers several different culinary programs to meet the needs of students who want to get started in an exciting culinary career. KTI emphasizes real world training and requires 360 hours of direct onsite kitchen experience. Students have the opportunity to prepare a variety of exotic meats such as ostrich, buffalo, and elk. The art of ice sculpting and international food preparation are also part of the unique curriculum offered by KTI. The culinary program at KTI is accredited by the American Culinary Federation Education Foundation. Graduates are well trained for positions like restaurant cook, kitchen manager, and sous chef. Pennsylvania College of Technology is one of the most prestigious culinary arts schools in Pennsylvania. Programs are accredited by the American Culinary Federation and students have the opportunity to continue on to earn their BS degree in Culinary Arts after they have earned their AAS degree. Students will get hands-on professional experience at the AAA Rated Le Jeune Chef Restaurant, a fine dining restaurant hosted by PCT. Students at Pennsylvania College of Technology have the opportunity to participate in clubs and organizations. The Penn College Diners’ Club is a student organization that gathers at top restaurants around the country, meeting with chefs and owners to gain a real-world professional perspective of the industry. The Art Institute of Philadelphia offers an AAS Degree in Culinary Arts as well as diploma programs in both Baking and Pastry and Culinary Arts. All programs require an internship experience which provides students with the opportunity for professional work experience. Diploma programs can be completed in just 66 weeks. Students not only learn food preparation techniques; they also learn successful business principles that will help them in their future career. Culinary AS degree students learn to prepare a variety of regional and international dishes in a restaurant setting. Bachelor degree students learn advanced management skills including business plans, customer service, and event management. Graduates can successfully work in entry level culinary positions in their specific area of expertise. The International Culinary School at the Art Institute of Pittsburg offers degree options for students who want a well-rounded program in the Culinary Arts. The BS in Culinary Management takes the culinary experience students learned in their Associate degree program and builds onto it with management and supervision courses that can be completed online. Associate and Diploma programs are offered on campus using state-of-the-art kitchen facilities and the latest in culinary technology. Courses including World Cuisine, Art Culinaire; Latin Cuisine, and Sustainable Purchasing and Controlling Costs. Faculty are well respected in the field with several being featured in local media including Chef Shawn Culp who was profiled by the Pittsburg Tribune-Review. The YTI Career Institute at The Pennsylvania School of Culinary Arts features culinary programs which were awarded Exemplary Status by the American Culinary Federation. The Culinary Arts/Restaurant Management program at this top culinary school features modern teaching kitchens and a demonstration kitchen. The program can be completed in just 21 months and students are awarded an Associate in Specialized Business degree. The Pennsylvania School of Culinary Arts also has a full service restaurant where students work to practice their skills with supervision. The Pastry Arts Diploma program can be completed in about a year and is ideal for creative people with a passion for making desserts and pastries. The goal of The Pennsylvania School of Culinary Arts is to provide students with the skills needed for successful employment in the field. Westmoreland County Community College is an ideal choice for culinary students who are looking for an exemplary accredited program through the American Culinary Federation Education Foundation. This top culinary school offers a variety of program options that include apprenticeship and non-apprenticeship options for students to choose from. Apprenticeship programs are sponsored by The American Culinary Federation and include 4,000 clock hours of on-the-job training. The Non-Apprenticeship programs can be completed in two years or in an accelerated format. Students can still gain on-the-job training through an internship opportunity. WCCC features state of the art kitchens and professional faculty who provide individualized attention to students.